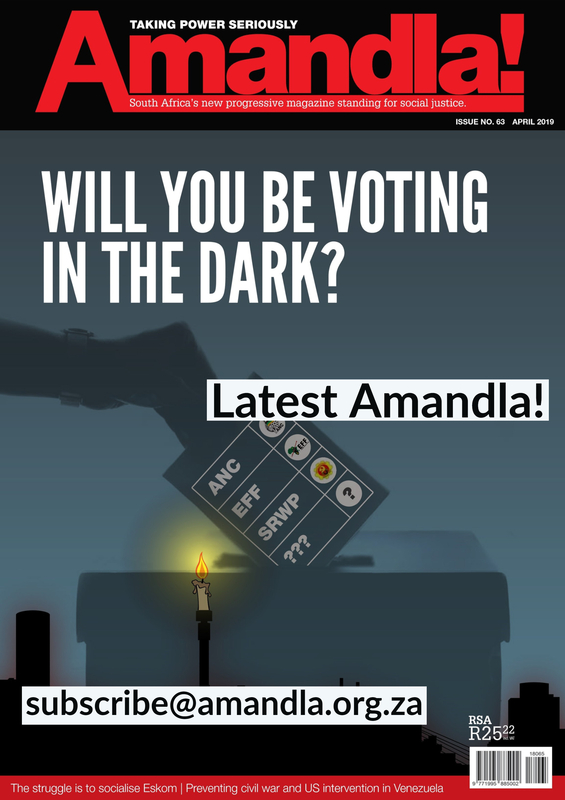 There has been a lot of water under the bridge since the last issue of Amandla. Or has there? Are we witnessing a real change of direction for the ANC, or just a cosmetic make-over? Are the presidential walks with the people, whether on Sea Point promenade or in Khayelitsha or Soweto, the beginning or the end of it all? Was this just a spat between two factions of capital, which doesn’t concern us? Or are the consequences real? And if so, what are they? The questions multiply in the first weeks of the Ramaphosa presidency. They tend to resolve themselves into one single, broad question: is there really any change?. The structural crisis of the South African economy will not fundamentally change with the Ramaphosa presidency. Ramaphosa has made it clear that he is firmly committed to the same old, same old – Minerals Energy Finance complex. Earn dollars from digging minerals from the ground and getting them out of the country. This strategy has failed over the last 25 years. When the commodities sector is on a high, it fills the pockets of shareholders. When the commodities sector dips, it dismisses contract workers, retrenches “permanent” ones and waits for the next upturn. For 25 years it has failed to lay the basis for oft-promised beneficiation – processing the minerals into materials and products in South Africa. This would create jobs. It hasn’t happened and it won’t happen. This is not a strategy to create millions of jobs. And we need millions of jobs. It is also a strategy which leaves the South African economy extremely vulnerable to the global economy. And the global economy is itself constrained by deep structural problems and may be on the brink of a new trade war. The structural crisis is also an environmental one. 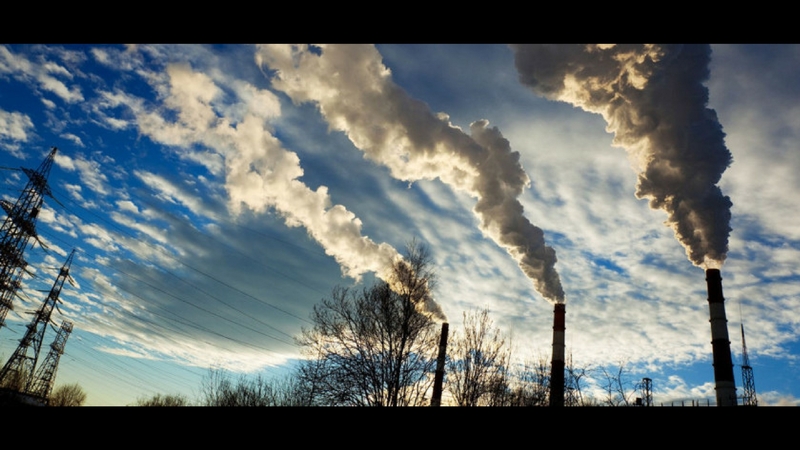 It involves investing in “dirty”, extractive jobs, contributing to catastrophic climate change. There will be no fundamental change. 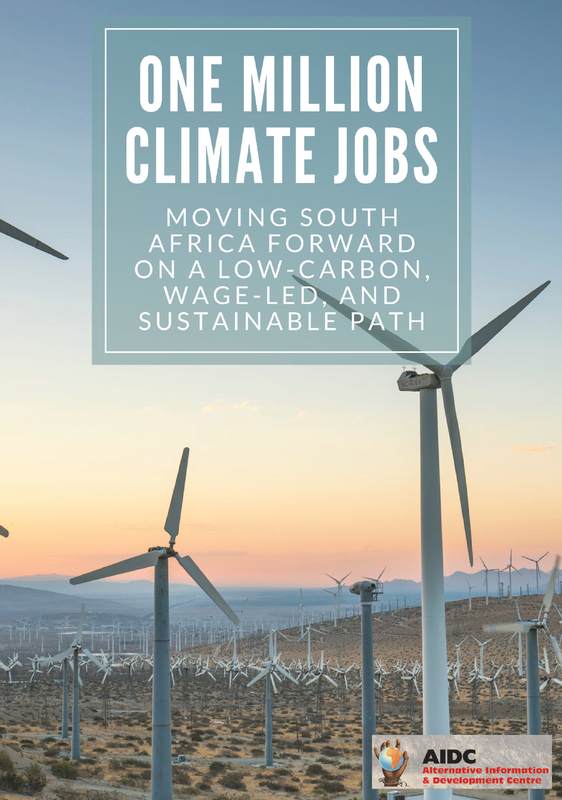 Ramaphosa’s State of the Nation Address did not even contain the word “climate” or “renewable”. That’s an eloquent statement of priorities for the “new” government. The budget demonstrates change – for the worse. In essence it was a budget of austerity. And austerity means only one thing – an assault on the living standards of the working class and the poor. It is not the middle class and the wealthy who are the major beneficiaries of the public sector. For example, the private school industry is mushrooming in South Africa, with a claim by one company, Spark Schools, that it can now offer a private education cheaper than a fee-paying public sector school. All those parents who now have their children in private education don’t care that the budget cut capital expenditure on schools, clinics and hospitals in order to fund “free” tertiary education. Money from Treasury to capital projects was cut by R5.2bn for provinces and R3.2bn for municipalities . In fact some of those middle class parents will benefit from this reallocation of resources. Those who suffer will be those who can’t afford that private education. Their school will not be built as a direct result. Where change occurs, from dirty to renewable energy, it threatens to come with two costs. The first is jobs – the jobs of the workers who have been digging the minerals from the earth, and who are no longer wanted. The second is the threat of privatisation by the back door. Not privatisation of Eskom. That has not proved necessary so far. This is privatisation through the programme of new energy-producing entities – the Independent Power Producers (IPPs). The only real change will come from an attempt to improve state and parastatal services, especially to the extractive industries. As a representative of extractive capital, Ramaphosa wants cheap electricity for his mines. He wants efficient and cheap train and port services to deliver the minerals onto ships and away. These are all in his (and his faction’s) material interests. Put crudely, Zuma’s faction made their money from looting SOEs. Ramaphosa’s faction makes its money out of using them as efficiently as possible. So the Guptas and their friends will be prosecuted, if they can be found and themselves “extracted”. As an offshoot of this, a material benefit of this change is the dumping of the nuclear energy option – at least for the foreseeable future. But the municipalities will be a much more intractable problem. There are 205 local municipalities and 44 district municipalities. Each one of these 249 entities is a potential or actual hub of an economic network which creates and fulfils tenders. As evidence of this, the Statistician General recently blamed municipal level corruption for the failure of infrastructure projects. Even if Ramaphosa would like to turn that around, it would be difficult to know where to start. Firstly, he can’t afford to create too many enemies in the ANC, because his dominance is by no means assured. Victory at the conference by 170 odd votes is not a massive power base, as evidenced, for example, by his retention of Bathabile Dlamini and Nomvula Mokonyane as Ministers. And even if his position strengthens hugely, he still has to confront the fact that the ANC, at local and provincial level, is a collection of competing interests each seeking economic advantage through political activity. How could the ANC transform what it has constructed? EFF as a populist force to the left of the ANC. So, what now? Pressure from the EFF as well as the ANC base has forced a parliamentary vote in which the ANC, without any obvious embarrassment, performed a Trump-like 180 degree turn and supported a motion it had previously voted against. It was even obliged to support an EFF motion, covering its nakedness with the fig-leaf of an amendment. Where does that leave the EFF? Will it be swept up by a temporarily left-turning ANC, or will it be pushed to the left itself in order to maintain its reason for being? The destiny of the SACP is of course settled again, as it reburies itself in the ANC, under the leadership of its Transport Minister / General Secretary. One thing is for sure. 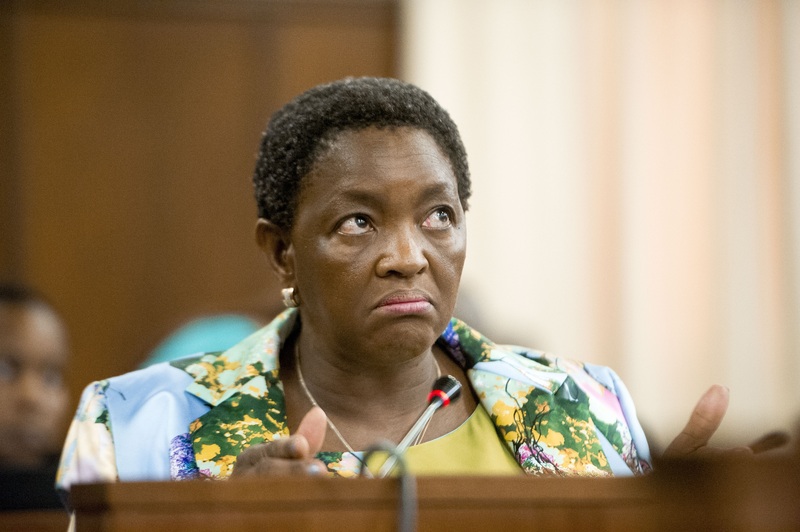 We are about to test the truth of Bathabile Dlamini’s “smallanyana skeletons”: “All of us in the NEC have our smallanyana skeletons,” she said, “and we don’t want to take out skeletons because all hell will break loose.” Zuma is now to be prosecuted. Will he go down alone? What about Ace Magashule, if and when he is definitively implicated in one of the many Free State scandals? Or DD Mabuza? Or perhaps half of the cabinet and the NEC? 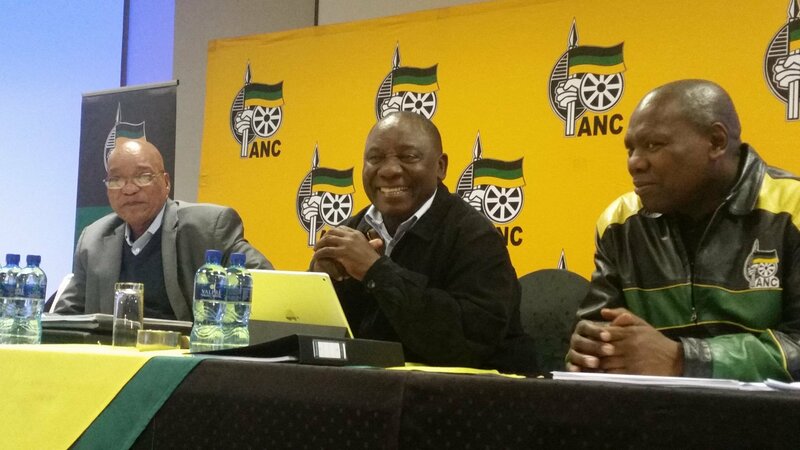 Will Ramaphosa get away with the story that “Now we are cleaning the ANC – see how well we are doing”? Or will another story sweep him away – “this ANC housed and supported all these criminals for so many years”. So he may, very properly, be damned if he does and damned if he doesn’t. Damned if he allows a process which convicts large numbers of ANC leaders. And damned if he protects them. Vulnerable in either case. And then there is the issue of the land. The issue is not settled by a preliminary vote in parliament. The ANC government has already encountered the contradiction it will continue to face. Its membership is demanding land. Social movements and the EFF are lurking, waiting to recruit them by occupying the land if it doesn’t happen. The ratings agencies are lurking to downgrade them if it does. The inability of the ANC to do what it claims to want – sweep away the corruption which infests its structures and cadres – the impossibility of killing the parasite, without also killing the host. The inability of the ANC to satisfy the needs of the people within the confines of its continued neoliberal, extractivist strategy.